When the knowledge development in the first three sections is combined we then have Exploiting the IQP and Fighting the IQP. This approach to knowledge development, via a layered syllabus style approach, is quite rare in chess and also quite refreshing! For the CC player, this is a very useful book as it will help in deciding the correct strategic decisions are being made.. 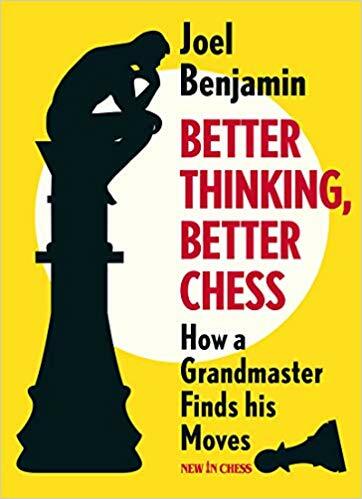 The basic premise of this book is that is it not just what you know but how you apply it, which is supported further extolled by the title of "Better Thinking, Better Chess". Improvement in this area is sought by working through a number of example games and positions leading to challenges to the reader to consider the move they would make at key points. So how does this book fare for the CC player? The majority of the content is transferable and in particular, the "Tips for Better Chess Thinking" provide some interesting food for thought when applied slightly differently. 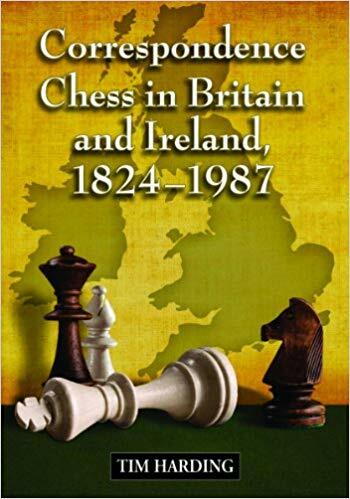 Here we have a fascinating book, detailing Correspondence Chess up to 1990 in Britain and Ireland. Here there is no mention of Engines and Databases but the exploits of British players in, what is considered by some, the Golden Era of CC in the UK. The book is a little on the high side price wise, running as £30 - £40 on Amazon, although much of this is related to the depth of research carried out on the book (which in part was related to the award of Tim Harding's PhD). If you want something different about CC, this is the book! I must admit I am a fan of Axel Smith’s work. There got that out the way! In many ways this book can be considered a follow up to Smith’s previous book: “Pump up your rating”. So rather than being an opening treatise around 1.e3 this is rather an examination of a number of openings which transpose into a set up with e3,d4,c4 and Nf3. The book then discusses the plans, common themes and tactics which arise in this kind of position. This knowledge is Smith strongly credits towards his gaining of the GM (OTB) Title. This in itself make the book highly interesting for the CC playe!. We now have a situation where opening databases and engines have made understanding the Opening and Middlegame positions which arise essential if we want to be able to fashion an advantage. In this regard, if the reader is willing to put in the required work, then the book will deliver! 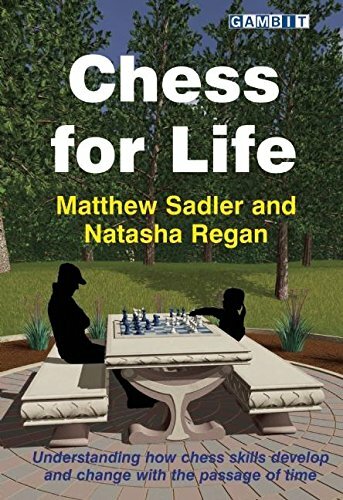 Overall: If you like to play moves other than 1.e4 then this book can probably add something to your chess! Scoring: 82% - One for non e4 players! The structure of the book is interesting with 14 main chapters, going from the very beginning (Not trying to teach the reader the fundamentals but considering such things as the piece values in different phases of the game and different positions), through what to train at, how to train, How to evaluate , How to use engines and how to develop Meta Openings. For the correspondence player, there are many gems within its pages (read the book yourself to find them! Modern Correspondence Chess has is a game where Strategic thinking and planning take the fore as engines handle tactics rather well! 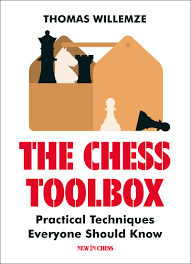 This book aid the aspiring CC player well in reviewing all the major pawn structures seen in the modern game. After a short introduction, the book leaps into identifying and reviewing 29 distinct structures. For each one the White and Black plans and piece placement as discussed. This then leads to a number of heavily annotated model games to help the student grasp the strategy in the structure. The book is rounded off with a number of graded exercises. Overall Score 93% - Well worth adding to your collection! 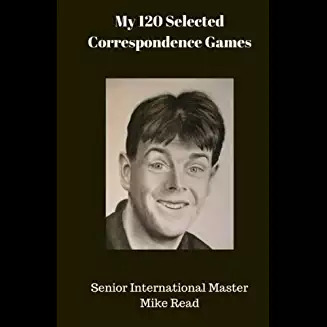 Following on from the review of Mike Read’s 120 Games, we have a much older book but one covering the games of a former ICCF World Champion. 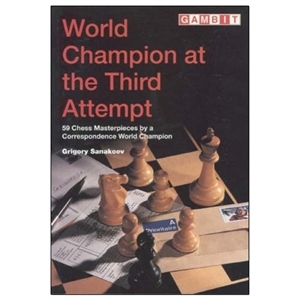 The book covers Sankoev’s CC career from the very start until winning the World Championship (at the third attempt). Although the book comes from the pre-engine era is a rich source of valuable ideas for the aspiring CC player as Sanakoev presents a number of CC “rules” which he refines after each cycle of play. A few minor negatives – as a translation the language can be a little obtuse and as the content covers the 1960 – 1980’s a few of the ideas are past their sell by date but as a positive, even in those cases, there is still a great idea which can be modified for modern play. Want a glimpse into the processes of an ICCF World Champion, then this is the book for you. Better still, it currently is selling for only £5 in a number of outlets! 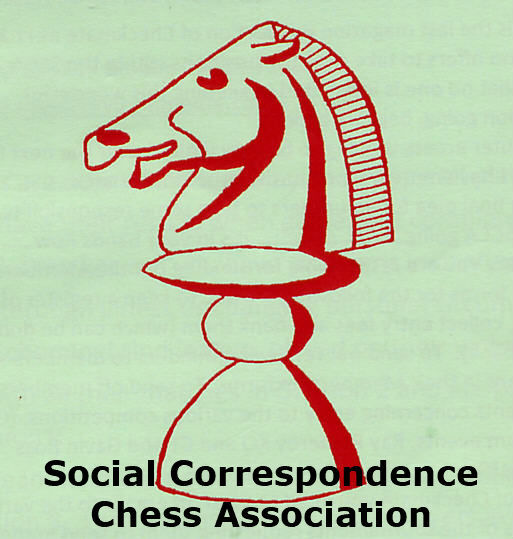 This is a rarity: A book specifically on Correspondence Chess, even rarer, a games collection. This book is an insight into the playing mind of a very strong CC player from the pre-computer era, so if you like your lines triple checked for accuracy look elsewhere! At over 500 pages long for £10 this book is great value for money. Negative points, none whatsoever! The cover is already dog tagged on my copy but that is from reading! One very interesting game is from current welsh CC player David Guy, played in 1990! Overall, worth a place in every Correspondence Chess Library! Using a shiny new scoring system this book weighs in at a highly impressive 90%!